The C. Bechstein M/P 192 grand piano convinces with all that the pianist’s heart desires: wonderful color spectrum, powerful bass, singing treble, flawless register transitions, professional touch. The medium-sized, but powerful, and at the same lyrical C. Bechstein M/P 192 grand piano is geared to the demanding customers for world-class grand pianos, musical connoisseurs or higher education. 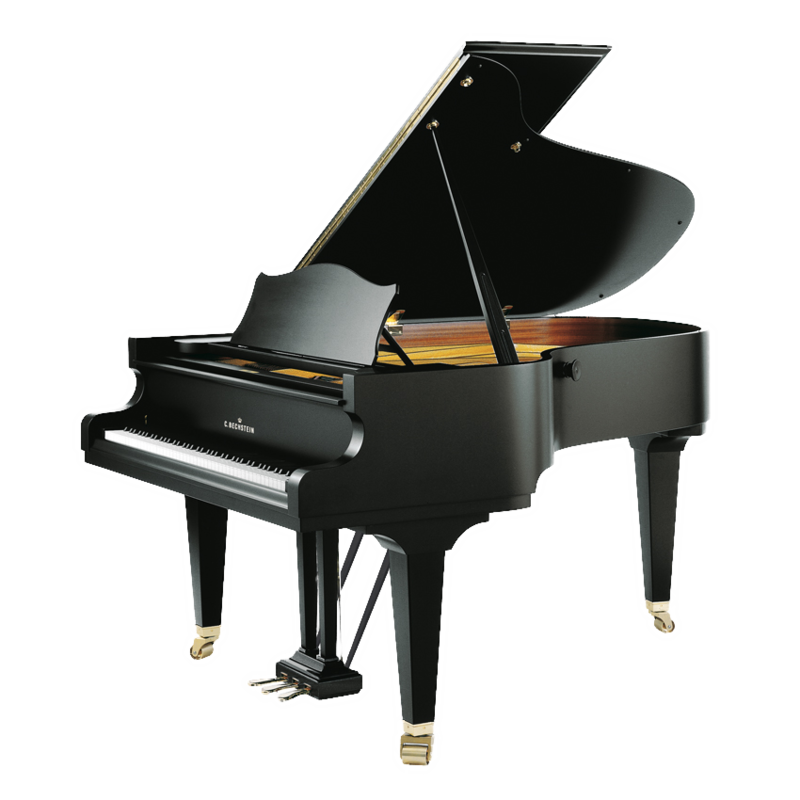 A great grand piano of the masterpiece series that inspires its audience with its dynamic sound! Its design concept is similar in all production details to the quality criteria of the concert grand pianos. There is nothing comparable in its class. The C. Bechstein M/P 192 grand piano does not shy away from competition; its sonority, its playing feel is more than professional. This is the grand piano of the university professors, studios and the work rooms of professionals and amateurs. The ideal proportions make it suitable for private homes as well.The dimensions are ideal for finishes of special woods or classical cabinet designs. Noble woodfinishes or inlays make the C. Bechstein M/P 192 grand piano a feast for the eyes. The durability of the C. Bechstein grand piano is proverbial. This grand piano will be loved just as much by coming generations as you did on the first day. A grand piano of the masteropiece series that is individualy manufactured takes years until its completion. Its noble components retain their tension and vibration characteristics for a lifetime. Allow yourself to be introduced to the C. Bechstein sound and energy cycle system. Our DVDs can give you the first look at the outstanding quality aspects of this worldwide unique factory. The C. Bechstein M/P 192 grand piano can be also equipped with the Vario System, which enables you to practice even at night without disturbing neighbours or roommates.